Organizing your kitchen drawers can give you extra storage spaces when properly done. No matter how small those drawers and cabinets are, your creativity will help you define how well and functional you want them to be. Long Island Maids wants to offer some advice. If you truly need all the spaces you can get then you need sink drawers that tip out because they are more convenient, and also give you more inner spaces to store some kitchen tools. One of the best possible ways of organizing your under sink storage space, is to add a pocket organizer. This will even be easier if you have some sewing skills but if you don’t, then you can get an over-the-door shoe organizer to perform the same tasks. Pocket organizers can help you keep extra kitchen tools (especially smaller or tinnier ones. One of the best possible ways to utilize your vertical kitchen space is to install command hooks and baskets that can hold some kitchen accessories. You may want to add some vertical spaces to your horizontal kitchen drawers if you don’t have them already. Pantry organization doesn’t have to be in a traditional way, hence you can invest in smaller rolling kitchen drawer organizers that simply roll out when you open the cabinet. You can easily find lots of pre-made rolling cabinets or get a handyman to help you build a customized one. One of the best possible ways of creating an extra counter space on top of your kitchen sink is to get a small shelf over it – it makes it very convenient to retrieve some kitchen tools and you wouldn’t have to open drawers all the time. Instead of leaving them bare, why not install hooks to those bare sides (especially those facing your sinks) and hang some of your kitchen utensils on them? If there is sufficient space above the sink, you can simply hang a rail from the ceiling and hang some of your kitchen utensils there. One of the best possible ways of staying organized and making use of every bit of space is to install corkboards especially on the side of the cabinet door, it helps you organize those long plastic and metal spoons and bowls easily. You may want to consider hanging a sheet of magnetic tin inside your kitchen cabinets just to create a rack for your spices. No matter how good you are in organizing your kitchen cabinets, there are some difficult corners that can prove difficult to use for storage, your best bet is to make use of screw hooks to turn such awkward corners into pot racks and for some other kitchen cabinet organizers. This is one of the best newest kitchen cabinet organizers that can help you optimize those awkward spaces that prove very difficult to use. Installing the lazy Susan cabinet will make difficult spaces more accessible. Sometimes, the best way to provide more space for your kitchen gadgets is to add more space on top of existing spaces. It is very important to make use of all vertical spaces if you want to stay organized. Similarly, you should consider adding more shelves to your shelves if you want to create more vertical spaces and stay organized. One of the best possible ways of finding your pans more easily and get them organized is to stack them with the aid of pan dividers. One of the easiest ways of organizing items such as baking sheets as well as your cooling racks is through the use of file racks. 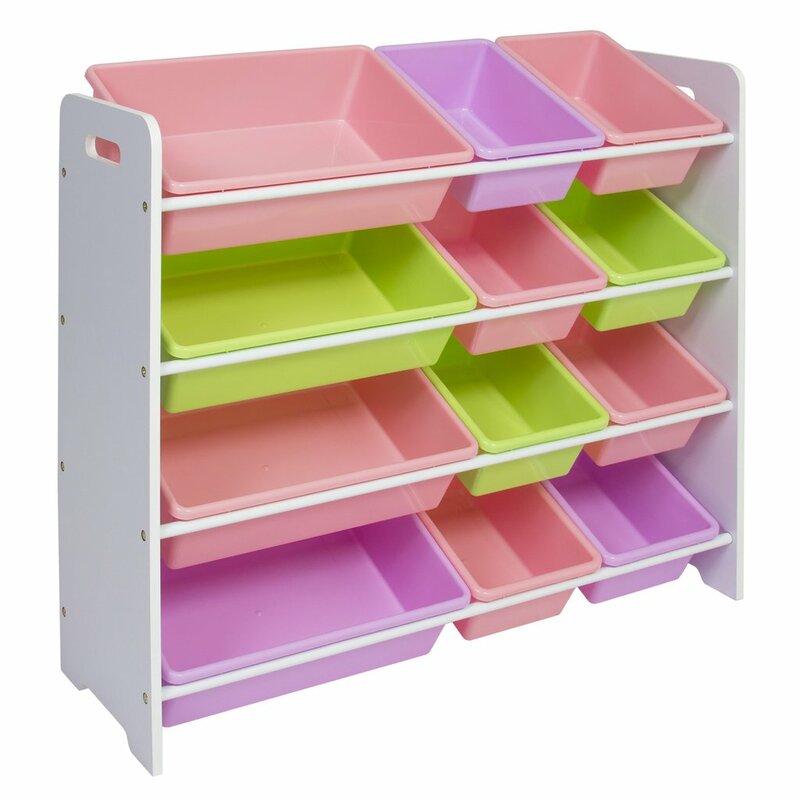 File rack helps to store and organize items in a vertical way. Foldable tables are like foldable cabinets that occupy no space at all. If you can find this item customized for you then it will be a great addition to your kitchen organizers. If you have sufficient space in your kitchen, you can organize your kitchen much better with the addition of a cart. A kitchen cart can serve multiple purposes, for instance, it can work as an extra counter, or simply as an extended storage area or probably a temporary bar for entertaining your friends and family. Perhaps one of the best ways to show your creativity is to create a pegboard by yourself and install it as a wall organizer in your kitchen. With a pegboard, you can easily keep all manner, sizes, and shapes of kitchen gadgets and get them whenever you want to use them. If you can’t make a pegboard by yourself, then you can get ready-made ones at an affordable price from a nearby store. In conclusion, kitchen organization don’t have to be costly and you don’t need to move into a new home to start over. It is all about being creative with what you have and adding some more functional options to the kitchen cabinets. The addition of functional storage features such as a narrow rolling cart can do a lot to help you stay organized. If you reside in a small home, organizing kids bedroom will remain a challenge. It is easy to spot a cluttered kids bedroom, toys, books, and clothing are scattered everywhere, with the right storage solutions such as toy storage bins, children’s bedroom organization will become a lot easier. Do not try to handle children’s bedroom organization alone, you must teach your children organizational skills and maintenance process as you clean the mess together. Make sure you figure out things that are not working and those that are working; for instance, broken kids furniture and toy storage systems must be removed and replaced with more functional ones. In addition to surveying what is working and what is not, you need to identify those things that are important to the child and those that are not; worn-out clothes, damaged shoes, and outdated toys, for instance, must be eliminated immediately and you must tell your child the reason why. When you become your child’s partner in the process of de-cluttering, he or she will be motivated to keep the bedroom clean and tidy. As a parent, you may want to start with carpet cleaning, but you know this wouldn’t be possible until the clutter on the surface of the carpet is removed. Similarly, starting with window cleaning may not be ideal when there are still clutters and dirt on the floor. Your children’s room is perhaps small, shared with bunk beds and probably have fewer storage spaces. You need to keep in mind that kids will never be organized when their closets are crammed and the closet organizer is stuffed. The only solution, in this case, is to sort out, store, and simplify. Start with the clothing, make sure you remove all out of season and outgrown clothing from the kids’ shelves, the children’s furniture must be checked for breakages that can cause accidents and be removed immediately to create more space. Simplify means removing those clothing that your son hardly wear, in order to create more space to fold and properly hang the ones he or she is fond of wearing. This same technique must be applied when searching for toy storage ideas. For your younger children, creating a toy library will be the answer to excess toys, in this case, there are several options you can consider, these are; a large lidded plastic container, plastic garbage bag, and toy boxes. Regardless of the option you go for, make sure it is labeled as “toy library”. Once in a while, bring out the toy library and swap the toys with some other meaningful items that the kids will appreciate or donate them to charity courses. You should encourage the older kids to make use of toy bin organizer to store toys they don’t like. Perhaps one of the best clutter removal approach is to operate on a one-in-one-out rule, which simply means as you get a new toy for your children, one toy must be thrown inside the toy library. This will help eliminate toy clutters in the first place. This rule must also apply to books, clothing, and accessories. Make sure your children are aware of this rule and must be prepared to get rid of an old item as a new one is brought in. Perhaps the most practical way to help children with their closet storage is to upgrade their storage options. You should consider replacing lazy kids bedroom furniture with kids beds with storage – this perhaps will encourage them to optimize the extra space they have to store their most valuable items. Newer kids bedroom sets do come with pre-installed drawers and cabinets beside or underneath the bed for extra storage, and they can be found at kids furniture stores. Convert some horizontal storage compartment to vertical storage spaces. Items such as musical instruments, bicycles, and baseball bats, are best stored in vertical positions if you want to optimize more space. A combination of both vertical and horizontal storage compartments will definitely make storage a lot easier. The best possible way to discourage kids from cluttering is to ensure to make sure it is easier to put it away but harder to retrieve. Traditional bookcases, for instance, should be replaced with flip file storage options where the kid can toss a book in front of a dishpan when they are done and it can be more difficult to retrieve such books. Similarly, your choices of toy organizer or closet shelving must provide an option where old stuff eliminated are quite hard to retrieve. The kids may see it as a punishment in the beginning but will eventually get used to it. Aside from regular vacuuming of the rug or carpet, you must tell your children the importance of clean rugs especially as regards their health. 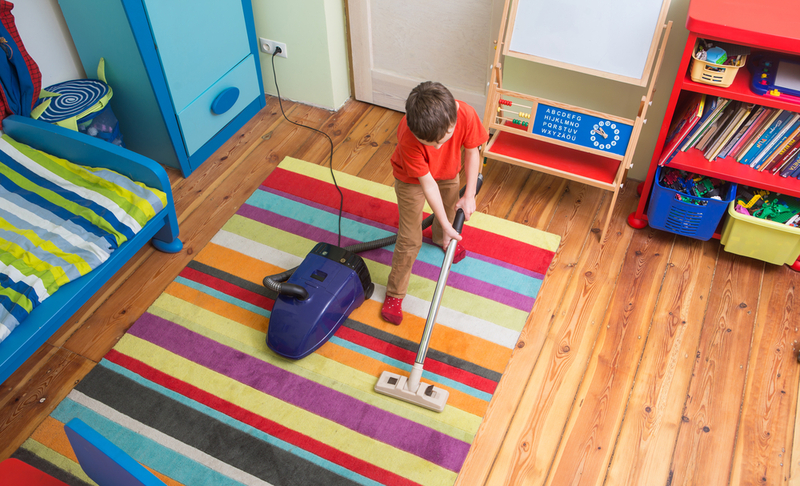 If rug cleaning will be difficult for the kids, then it will be better to replace it with a hard or wooden surface. Upholstery furniture must be cleaned with appropriate upholstery cleaner with a brush and clean water. If they can’t remove the furniture out for cleaning then you have to help them or simply place a furniture cover on top to make it easier to clean. Both the boys and girls bedroom sets must have kids dressers to help them make right clothing choices. The toddler bedroom sets are generally making it easier to handle these days. Most used toys can be arranged in lower shelves on boys bedroom sets for instance, while higher levels of the storage shelve are used in storing less frequently used items. In conclusion, kids beds are not the only item that must be focused on, all storage spaces must be labeled to help kids stay organized at all times. We are all different, some people like packing and hate unpacking and the reverse is the case for others. If you often ask the question; how long does it take to unpack after moving? The answer is simple, the volume of your items will determine how long it will take to unpack. 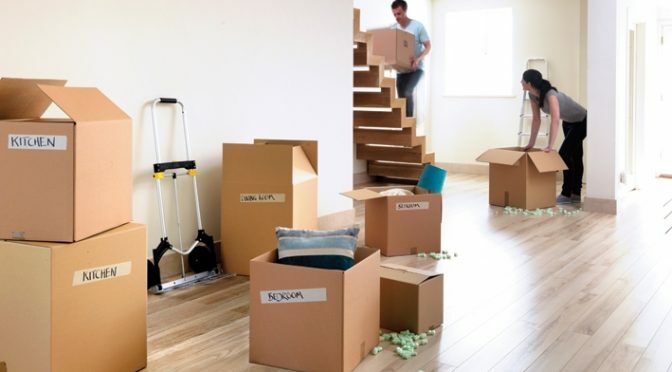 One of the most important moving house tips is that you need to get all necessary packing boxes and then pack the essential stuff first, while you declutter the old home. – The moving day (unloading). Every component you are moving or loading and unloading and all other arrangements must be included in one of the components of the moving house checklist. For instance, throwing a housewarming party may happen a day after moving into the new home, while new home cleaning may occur the week before living room setup. You need different organization ideas to help you follow your checklist wisely – try out different setups when organizing a new home. The golden rule of moving into a new home or unpacking is to ensure you leave sufficient time to do it. You need to book enough time from your busy schedules to unpack and not just dedicate a weekend to moving house. You may take an entire week off from work to unpack, and even get a babysitter for your children to help you focus. If you don’t have sufficient time to unpack then you can fix a schedule in-between, for instance, you can focus on unpacking 5 boxes a night. You must set a schedule for your children to unpack too in order to make your job easier. Try and save the weekend to unpack the most difficult boxes. Whether you are packing or unpacking, you need to start with larger items such as beds, dressers, and armoires before you end such unpacking with smaller items such as bedclothes, books, toys, and sundries. Whether you are thinking of a new living room furniture layout or kitchen organization, you must pay attention to all essential items. You need to have a box and label it “essential” and each member of the family must have one. The essential items must be unpacked first and this will make your first few nights in the new home more peasant. #5: Which room must be unpacked first? Home organization experts suggest that the kitchen should be unpacked only after you assemble all pieces of furniture and beddings. The kitchen is usually the most complicated and the one that requires a critical re-structuring when settling into a new home. The quicker you get your kitchen unpacked and organized the less you will spend on eating outdoors. Once the unpacking and arrangement of the kitchen have been completed, the next is the bedrooms. Make sure all seasonal clothing are unpacked and well organized while most important ones like kids school uniform and office clothing are properly hanged in their respective places in the wardrobes. The living room should be the last place to unpack, before the yard, garage, and other external components. Whether you are making furniture arrangement or adjusting your bedroom components, you need to ensure that you need to unpack those items that will help you and your family members eat, sleep and bathe first before other things. For this reason, your bedroom, kitchen, and bathroom must be sorted first before moving to other areas. Installation of functional items during unpacking will make the job of accessorizing much easier. A housewarming party will help you announce to your friends, family, and colleagues that you have changed address. While some people prefer to do such parties before they moved into their new homes, others choose to organize such parties a week or two when adjusting to a new home. Regardless of the time you choose for organizing a house-moving party, it is important to send housewarming party invitations not later than 2 weeks before you move to a new home so that the invitees will keep you in their schedule. It is important that you settle into your new home and relax from the stress caused by the moving before you start preparing for the housewarming party. If you are financially sound, you may want to hire a caterer to handle your housewarming party, otherwise, you have to spend extra in handling such. In conclusion, house moving should not be a fearful thing for couples, especially those who have larger families. 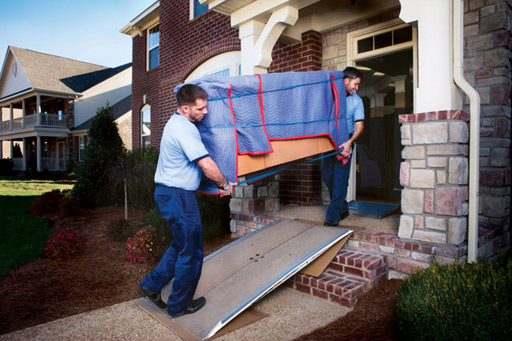 Financially stable families often hire house moving companies to handle such process for them, however, such companies will only unpack your house items and deliver them to your doorstep. This means you will still have to figure out how you will rearrange the items to make them fit perfectly into your new home. When figuring out or planning to move, it is ideal to approach a packing company to help you figure out the best packing materials that can handle some vital items (most especially breakable and other valuable accessories or items). This may cost some money but it will worth the effort in the long run because your items must be delivered unbroken and without any scratch. Most moving companies do have different packaging stuff for handling household and keep in mind that you still have to hire trucks and pay for the workmanship. You must probably make a budget before you start preparing for moving, this will help you avoid any likely emergency funding and if you want a clean home to move into, Long Island Maids are always there to help.